Petrology is an essential component of the undergraduate Geology curriculum because the rock record is the foundation for interpreting Earth history and internal processes. Petrologic concepts help us understand the Earth system, with connections to related fields such as mineralogy, geochemistry, structural geology and geophysics. Petrology also is important for addressing topics of societal interest, including natural hazards, natural resources, and human health issues. 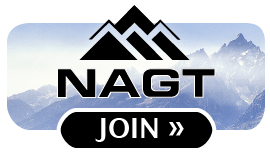 The purpose of this website is to promote excellence in teaching petrology as one of the foundational elements of a comprehensive education in the Earth sciences. Explore example learning goals for Petrology from your colleagues. Learn more about setting effective course goals in the Course Design Tutorial. Browse course descriptions and syllabi to understand the range of petrology courses currently offered. Aligning your assessment strategies with the goals of your course is critical. You can learn more about assessing student learning both as part of the Course Design Tutorial and through our module on Assessing Student Learning. Teaching Petrology Using the Primary Scientific Literature: Strategies engaging students with the primary literature in Petrology courses, along with a compilation of articles from the scientific literature recommended by Petrology faculty. Teaching with Geochemical Data: Geochemical data can be an exciting way for students to solidify their understanding of petrology. This page offers resources and strategies for incorporating geochemical data into your Petrology course, along with summaries of many of the available Geochemical Data Plotting Programs. Petrology in the Field: A number of workshop presenters and participants have shared their expertise in teaching with and through field work. Here, you can benefit from their experiences and learn from their presentations and teaching activities. Once you've identified the core learning goals for your course, you can use them to focus your search for relevant materials in our resource collections. The resource collections listed below reflect the contributions of faculty members from across the country. Course descriptions and syllabi including course learning goals and supporting information. You can also see what topics were being taught (Excel 32kB Apr20 04) in Petrology courses, according to our 2003 faculty survey. Selected resources for teaching Petrology: Jump-start your Petrology course with this topical list of recommended resources that are particularly useful for the beginning phases of course design. Teaching activities including classroom activities, lab exercises, problem sets, and more. Descriptions of the activities include contextual information, such as learning goals and assessment strategies. Selected references: An array of hand-selected journal articles about teaching and learning Petrology. Additional resources: Browse journal articles about teaching and learning Petrology contributed by the community. Olivine, seen in cross-polarized light. Minerals, Inclusions, and Volcanic Processes: A thematic collection of teaching resources and activities that was developed for the 2008 Mineralogical Society of America/Geochemical Society Reviews in Mineralogy short course held at the Fall AGU meeting in 2008. 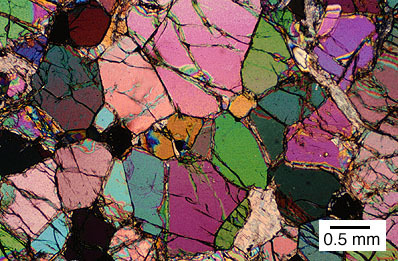 Optical Mineralogy and Petrography: The Cutting Edge website on Teaching Mineralogy includes this collection of teaching activities, PowerPoint presentations, animations, class notes, problem sets, and links to collections of photomicrographs. If you teach optical petrography in your petrology course, this page is for you. Teaching Phase Equilibria: The Integrating Research and Education project includes a set of pages on teaching phase equilibria. These pages aim to provide a comprehensive introduction to heterogeneous phase equilibria in the geosciences. To support teaching and learning, this site contains the essential background information needed to understand phase equilibria, links to related resources, examples of worked problems, and teaching activities. Analytical Instrument Registry provides faculty with a place to share information about analytical instruments such as SEM, electron microbeam, x-ray diffraction, x-ray fluorescence and more. If you would like to share access to the equipment at your institution, or if you would like to find access to instruments at other institutions, this is a great resource for you. Add your instrumentto our database . 2011 Teaching Mineralogy, Petrology, and Geochemistry Workshop: In August 2011, geoscience faculty members from around the country met at the University of Minnesota for a workshop on Teaching Mineralogy, Petrology, and Geochemistry in the 21st Century. 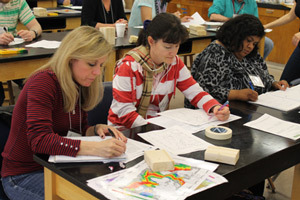 Participants explored best practices in teaching mineralogy, petrology, and geochemistry in the context of modern advances in understanding Earth systems, analytical and field methods, and information technologies. This workshop built on the success of previous workshops, including the 1996 Teaching Mineralogy Workshop, the 2003 Teaching Petrology Workshop, and the 2005 and 2010 Teaching Geochemistry Workshops. 2003 Teaching Petrology Workshop: During the summer of 2003, faculty members from around the country met in southwest Montana to explore new methods of teaching igneous and metamorphic petrology in the context of modern advances in understanding the Earth system, analytical and field methods, and information technologies. 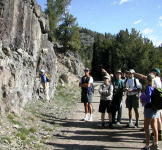 Highlights of the workshop were a 3-day field trip to the Stillwater Complex, the Beartooth Plateau and Yellowstone National Park, followed by 4 days of on-campus demonstrations, discussions and working group sessions. The workshop program guide includes the agenda and links to materials and presentations from the workshop. 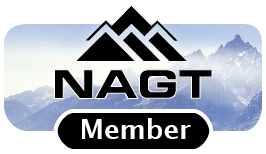 Email lists: Join the Petrology email list or the Mineralogy, Petrology and Geochemistry email list to take part in discussions with colleagues who teach those topics. If you subscribe to the lists, you can also access the Petrology list archives or the Mineralogy, Petrology and Geochemistry list archives.